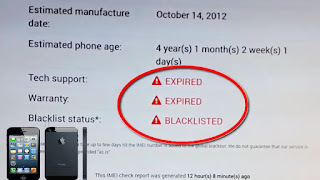 When an iPhone gets Blacklisted? If none of the above applies, then we refer to an iPhone as CLEAN. Keep in mind, that CLEAN iPhone doesn’t mean UNLOCKED iPhone. It is really important to check if an iPhone is Blacklisted BEFORE you go on and buy it. In fact, you must always check the Network, iCloud Lock and Blacklist Status because a second-hand iPhone that looks like a good investment might prove a disaster. So let’s see what you need to do step-by-step. Always ask the seller (online or not) to provide you with the actual iPhone’s IMEI number (15-digit unique serial for every iPhone). But how can you be 100% sure about the authenticity of the provided IMEI number? 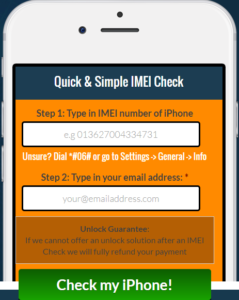 The only thing you need to perform an IMEI Check is the iPhones IMEI number and a safe,trusted and legitimate provider like UnlockSpector. They will enter Apple’s GSX server and Carriers’ Worldwide Blacklist databases and provide you with all the above information almost instantly.